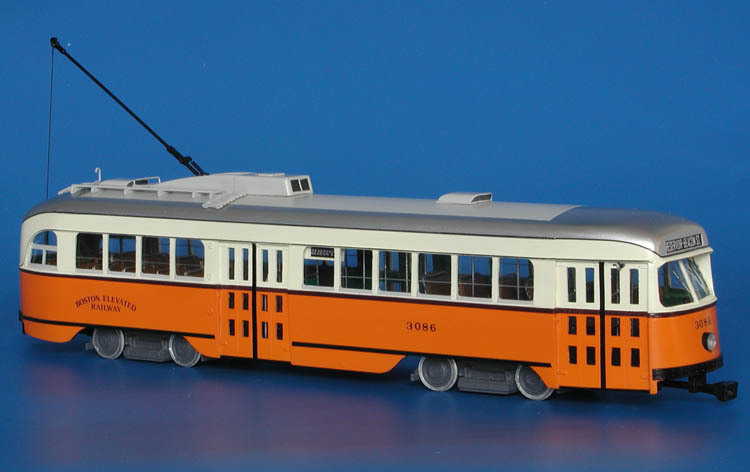 Model 1945 boston elevated railway pullman-standard pcc (order w6710, 3072-3096, 3147-3171 series). 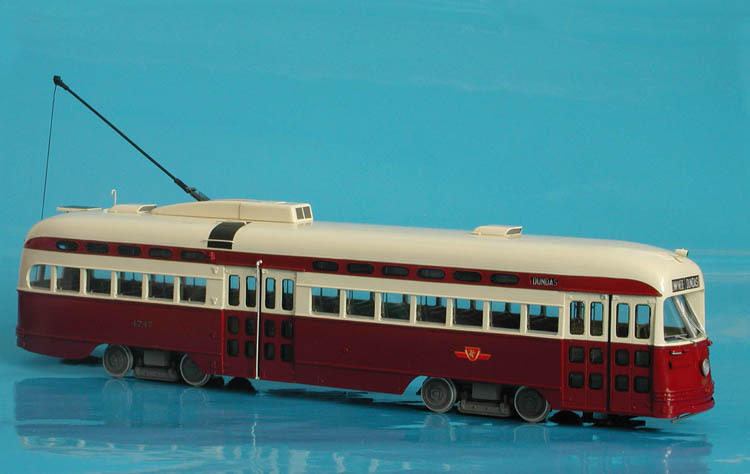 In July 1943 Boston Elevated Railway placed additional order for 75 more PCC cars, fifty of them were built with canvas roof and the last 25 cars of this order were built with steel roof. 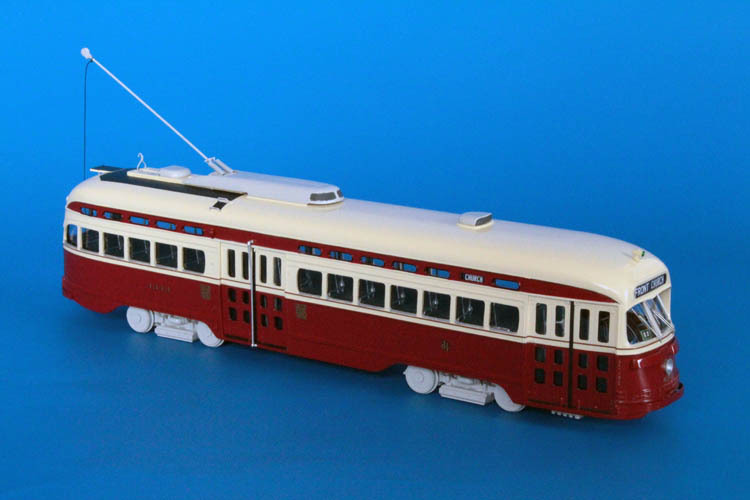 The canvas roof cars were numbered 3072-3096 (WH) and 3147-3171 (GE). 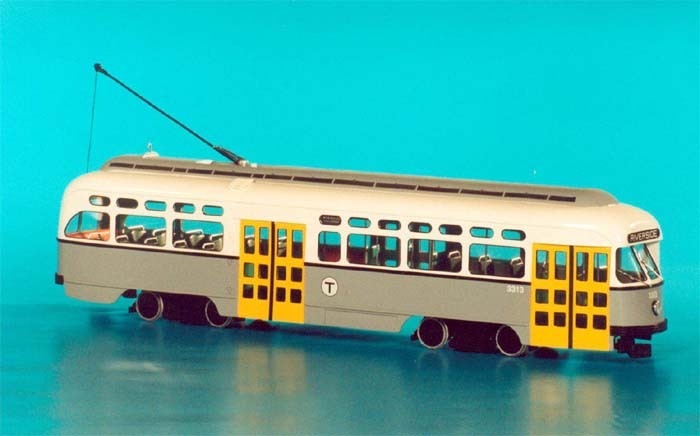 They were delivered to Boston in 1945 and had the silver painted roof. The main diffence to the first batch were drum brakes instead of the tread clasp brakes and presence of the vent on the left side of the car. 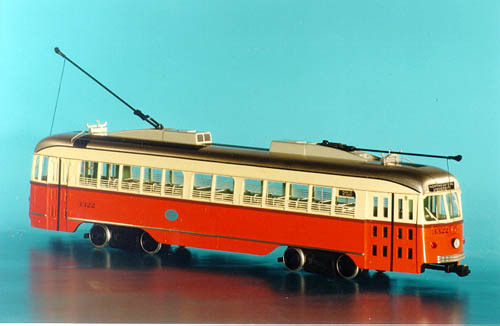 1947/53 Toronto Transportation Commission Pullman-Standard PCC (Order W6777; A-13 class; 4700-4747 series; ex-Birmingham, acq. in 1953) - as outshopped by TTC in 1953. 1947/53 Toronto Transit Commission Pullman-Standard PCC (Order W6777; A-13 class; 4700-4747 series; ex-Birmingham, acq. 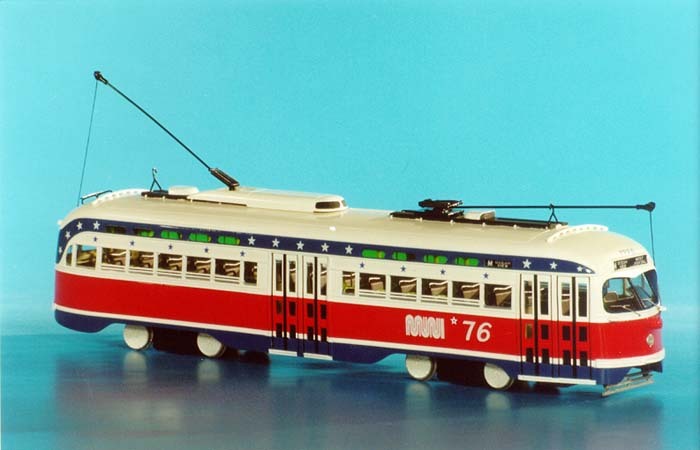 in 1953) - post'54 - early 60s livery. 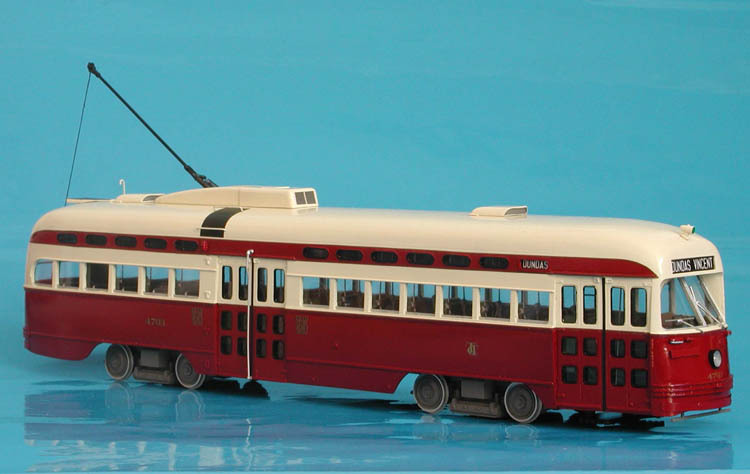 1947/48 Toronto Transportation Commission Canadian Car & Foundry PCC (Orders 1665/1732, A-6 class, 4300-4399 series) - original livery.